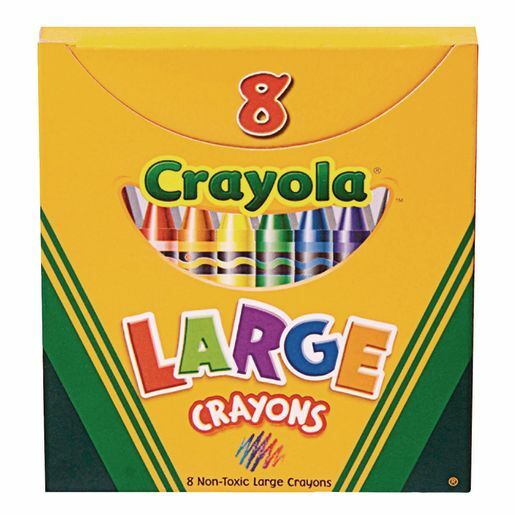 Large-sized crayons in classic colors: black, blue, brown, green, orange, purple, red and yellow. Measures: 4"L x 7/16"Dia. AP Certified.